Kwara State Governor Congratulates Kwara Batch B Corps Members – Royal Times of Nigeria. The Governor of Kwara State Dr. Abdulfatah Ahmed, has congratulated the one thousand nine hundred and ninty nine 2018, batch ‘B’ Corps members deployed to Kwara State for the successful completion of their orientation. He added that: “As you set out to go and report at your places of primary assignment, I urge you to follow the indelible footprints of your predecessors, by acting as a catalyst of physical and socio- Economic development of our state and nation in general. He said: “I’m delighted to receive reports that you all participated fully and with enthusiasm in all camp activities, most especially in lectures and training on skill Acquisition and entrepreneurship Development. “As Administration at all levels of government is making frantic efforts to solve the perennial unemployment problem beveling among the Nigerians youths, it is now behooving on you to take the advantage of your service year to prepare yourselves towards self-employment and becoming eventual employers of labour”. The governor said he believes all corps members have been sensitized to fully integrate into their various organization, he therefore encouraged them to settle down and help them achieve success in the course of their service year. He however charged them to put to use all the tenets of hardworking, discipline, commitment to place more priority on the issue of welfare and security of corps members while on national service in Kwara state. Earlier, the NYSC state coordinator, Mrs Ikupolati, Esther Tosin, thanked all invited guests, camp officials for their support and congratulated the Corps members for their display of discipline, maturity, patriotism and corporation throughout the period. 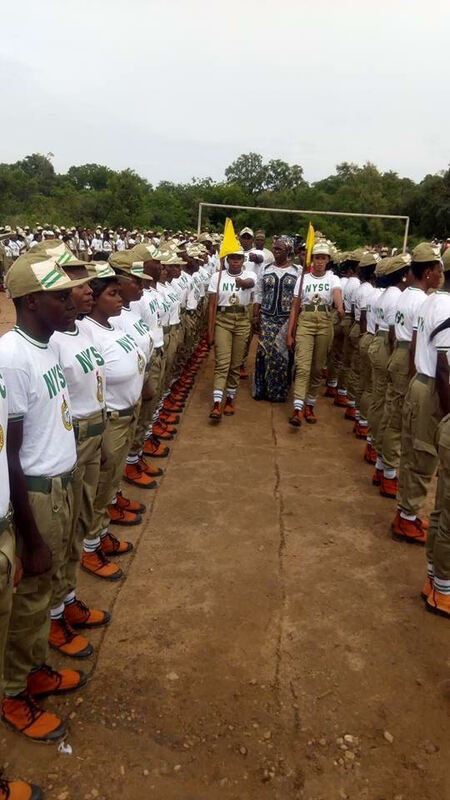 In her speech, Ikupolati, implored all the corps members to accept their posting in good faith and not get involved in any induction of their rejections for any reason, warning that, failure to comply with the directive will attract serious sanction. Ikupoluti, who described the corps members as ambassador of their respective families, advised them never to do anything that will bring their names to disrepute. While praying God to be their guide, she advised them to be security conscious, study the environment properly, stay away from trouble and never embark on unauthorized journey outside the state so as not to put themselves into trouble and avoid danger.